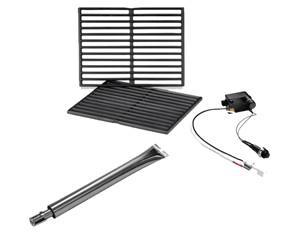 BBQ Parts, Barbecues, BBQ Accessories, Patio Heaters. and Firepits. Surrey North Vancouver. Welcome to Johnstone's Barbecues and BBQ Parts, serving the Greater Vancouver Area since 1975. Located in North Vancouver and Surrey BC. Choose from a Selection of ready to go firepits all the way to full custom solutions that you or your builder can install. Barbecue accessories for any occasion. We have selected a range of accessories that we think will stand the test of time and serve you many years. 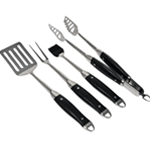 We stock exact fit replacement and universal BBQ Parts for USA/Canadian made barbecues. Quality Brand name barbecues from north american companies that stand the test of time. Choose from a Selection of Great Charcoal and Propane Portable Barbecues. 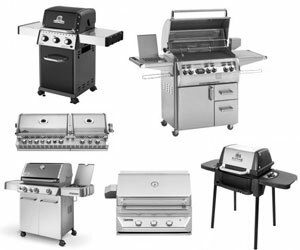 We are Vancouver and Surrey's source for BBQ parts, bbq grills, portable, charcoal, bradley smoker, and anything barbecue accessory related. 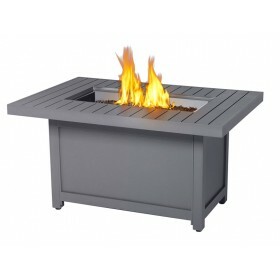 We also stock a wide variety of patio heaters, campfires, fire pits, outdoor fireplaces / bbq islands, and thousands of barbecue parts and accessories. Family owned and operated for over 40 years. Now serving the Surrey, Langley, Delta, Abbotsford, and Chilliwack areas with everyday low prices, excellent service and knowledgeable staff. Design your dream outdoor kitchen with the best brands in the industry. BBQ and Other Brands we carry Broil King Baron, Broil King Signet, Broil King Monarch, Broil King Crown, Broil King Regal, Broil King Sovereign, Weber Q, Weber Spirit, Weber Genesis, DCS by fisher & paykel, DCS Liberty, Fire Magic Aurora and Echelon, Twin Eagles, Grillpro, Infratech Electric, Patio Comfort, Napoleon Patioflame, Napoleon BBQ, Sunglo, Sunpak, Primo Kamado, Jackson Grills Versa and Jackson Grills Lux.